Warships from the U.S. Navy’s 6th Fleet have entered the Black Sea ahead of the Winter Olympics in Sochi, Russia, the service announced on Wednesday. 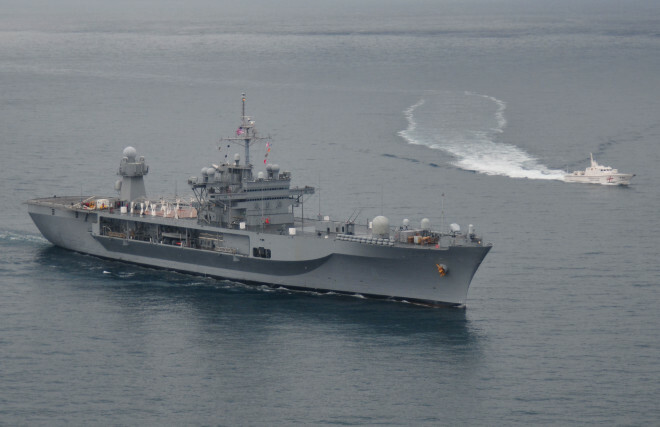 According to the Navy, the command ship USS Mount Whitney (LCC-20), which carries 300 military and civilian personnel arrived in region on Tuesday. 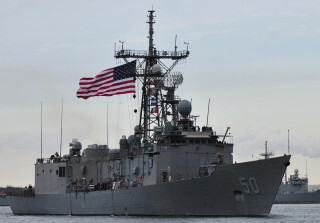 The Oliver Hazard Perry-class frigate USS Taylor (FFG-50) is expected to enter the Black Sea later today. “Both ships will perform routine operations in the Black Sea to establish and enhance cooperation, mutual training and interoperability with regional partner nations and allies,” according to a U.S. Navy statement released to USNI News. Though not explicitly stated, the two vessels would be used to evacuate U.S. citizens from Sochi in the event of a terrorist attack. Russia has massively stepped up its security operations in the region because of the threat posed by Islamic militants who are trying to carve out an independent state out of the near-by Caucasus region—which includes Chechnya and Dagestan.